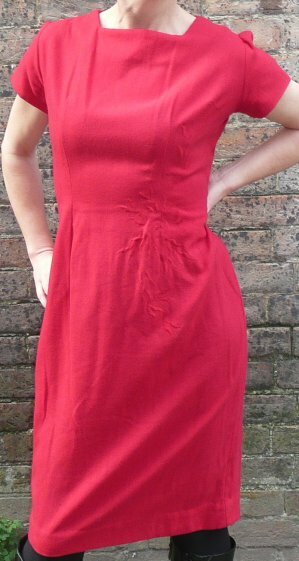 1950s vintage sweet red wool dress. 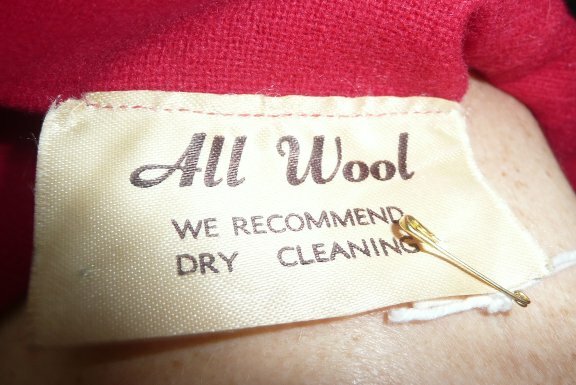 It clearly came from a shop, rather than a dress maker, as it has one label; this reads 'All wool we recommend dry cleaning' but that is all: no size or maker's name. 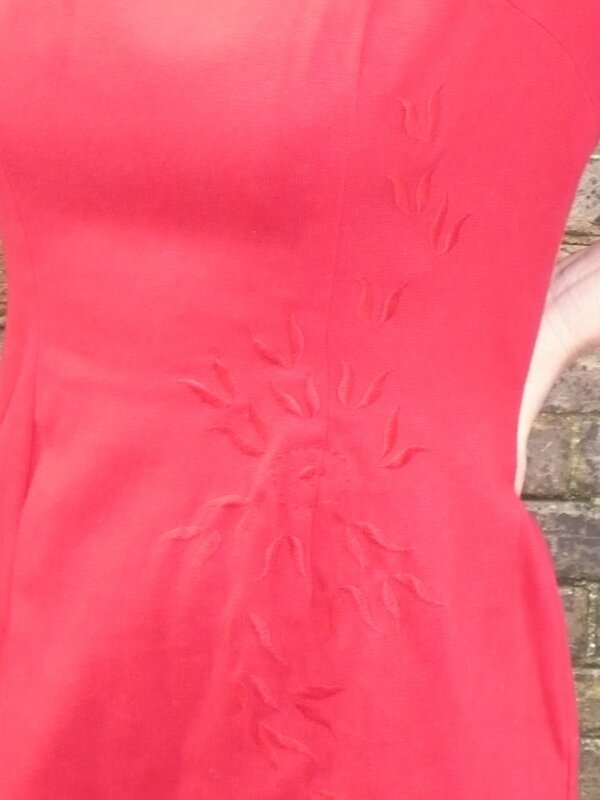 The dress fastens with a long (metal) zip at the back. 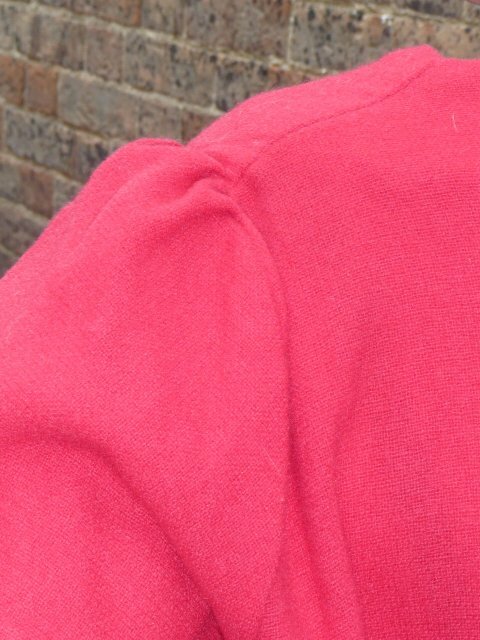 Its condition is excellent, with no visible signs of wear whatsoever, and I would say is closest to a UK size 14 to 16 , measuring approximately 42 ins bust, 34 ins at the waist, 44 ins hips and 40 ins length (107 - 86 - 111.5 - 101.5 cms).